Many people have water coolers for home use, but we have increasingly seen them being adopted by businesses. An office water cooler can help to create a healthy work environment and keep your employees hydrated. Let’s take a look a some of the interesting benefits that a water cooler can bring to your workplace. Health professionals recommend that people consume a minimum of two litres of water every day. This figure can rise because of exercise or during hotter periods of the year. When we don’t get enough water into our bodies, we become dehydrated, which can affect us in a variety of ways. Firstly, many people experience a loss in concentration and an inability to focus on even simple tasks. Another side effect is a feeling of sleepiness and headaches. Finally, people can even experience mood swings and a loss of judgement. Any business professional will be fully aware that none of these conditions are optimal for a busy employee. 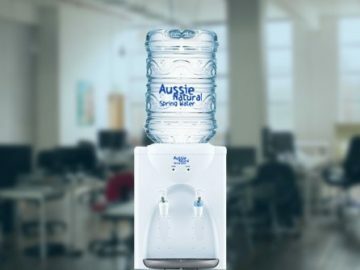 Many studies have shown that a water cooler culture in a work environment can actually boost productivity. The health benefits have already been mentioned, but people also work better if they get short regular breaks. The water cooler is the perfect place for a quick chat as you get a brain boosting drink of fresh water. 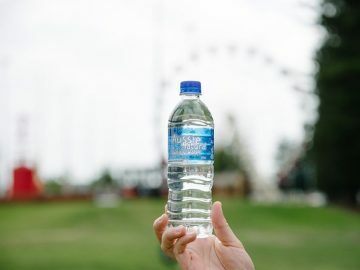 A water cooler system can be supplied with spare bottles, or a more elaborate system could even be plumbed in and used to filter the buildings water supply. If they are considering water coolers, Perth business owners and managers should contact us. 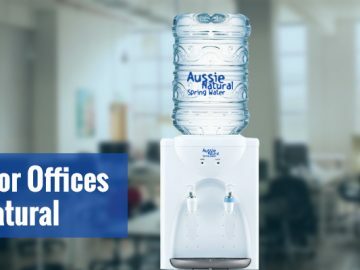 At Aussie Natural we supply and maintain a large selection of water products for domestic and commercial use, including benchtop water coolers. All of our products are manufactured to the highest standards and HACCP certified. We also deliver replacement bottles direct to your door for added convenience. Our sales team is standing by to discuss your needs in greater detail, and they can answer any remaining questions you may have.